It's a brand new year and that means brand new books. This month has been pretty quite around the blog due to holidays. Also it is a new year and this year I have again set myself a reading challenge of 100 books. I managed to read 9 books this month, so I'm off to a good start. 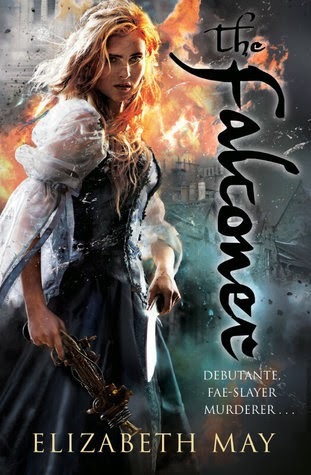 My book of the month is The Falconer by Elizabeth May. It was dark, blood thirsty and fierce. It was a story that had everything I was looking for. It had a fierce heroine out for blood, murderous fairies and plenty of steampunk elements. As a bonus it was all set in historical Scotland.